For a number of years Targi Kielce's Industrial Spring – annual events cycle has generated an increased interest. Last year's debut - the Industrial Robotics Expo STOM-ROBOTICS was an immense success. The upcoming edition is held from 26 to 28 March. The expo already promises to be equally impressive. STOM-ROBOTICS is solely devoted industrial robots. YASKAWA has been appointed the event's official partner. YASKAWA is one of the world's largest producers of industrial robots, inverters, servomechanisms and controllers. KUKA, one of the largest robots’ producers of will present its offer for the first time in Kielce. EASY ROBOTS will showcase and present a Polish robot. 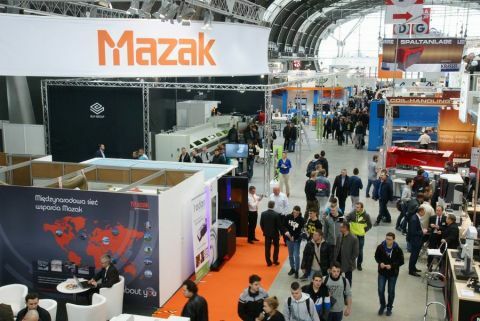 The "Industrial Spring" expo cluster, in addition to the STOM-ROBOTICS also includes: STOM-TOOL, STOM-BLECH & CUTTING, STOM-LASER, WELDING, WIRTOPROCESY, EXPO SURFACE, PNEUMATICON, CONTROL-STOM, 3D Printing Days. Join us in Targi Kielce - we look forward to seeing you from 26 to 28 March 2019.